To help you be mindful of the bilingual children and English Learners in your classroom, we’ve gathered a few of our favorite videos from literacy thought leaders in the K-12 space. Below, you’ll find snippets of interviews with Dr. Diane August, Jana Echevarria, and Peggy Cerna on the challenges and opportunities that come with working with English Learners and bilingual students. If you learn something valuable that you’d like to take back to your classroom, be sure to share with colleagues! All ELs have unique needs and learning experiences. But English Language Newcomers face their own set of challenges in entering learning communities with linguistic barriers. 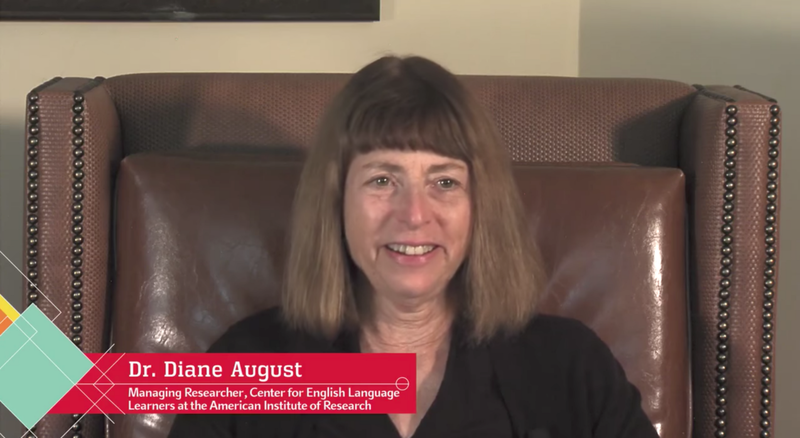 In this video, Dr. Diane August outlines strategies educators can use to be sure they are meeting English Language Newcomers’ needs and providing them with an opportunity to flourish.